That's all! We should be able to buy the heater today. The welding shop near Lone Wolf will open tomorrow. This means, that we will go tent camping tomorrow! #1. Data cost for Verizon's JetPack is really high. This is WiFi data, much more costly than cable data. So, I watch the little data window on the JetPack very closely. I went out to do errands this morning. I had the JetPack in my pocket. No computer or iPhone was with me. On returning to Miss Twayler, I checked JetPack usage and it had risen 0.4GB! That's huge, for only a few hours! How is this possible with my iPhone and Mac at home and the JetPack in my pocket?! Tomorrow I'm intending to present this matter to Verizon. #2. I went shopping today for some stuff for the upcoming Tent Camping Expedition. While shopping I found two items on sale. These items were tagged with the sale price. When I headed to checkout, I brought those tags with me. The reason I took those tags is, that often the marked sale price is not used at checkout. Sure enough, one item at checkout was $22.01 more than the tag. I saved that much by just being careful with prices only one time 😀. Big Pines, California is located at the intersection of U.S. Route 395 and California State Route 168. 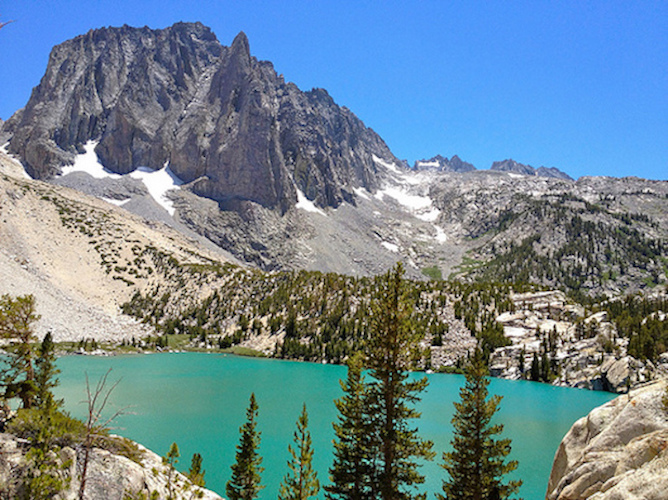 The Town of Big Pines appears on the map as located in the middle of Inyo National Forest. Click [here] for map. PS: At the bottom right of the map is a plus [zooms in] and a minus [zooms out]. You may scroll around the map by using your TrackPad or Mouse. Hold down on the map as you move your finger. If you click on the SQUARE at the lower left of the map, you will shift from a Regular Map to a Satellite Image Map. It's clear that you believe in camping at The Holiday Inn. How about if..... You and the Wife camp at the Holiday Inn. You Blog about your experience camping there. Post pics. The whole 9-yards. Head out to Joshua Tree national park. No boondocking since must pay fee to enter, but very cool people go there to enjoy the special setting. Thank you for the Joshua Tree suggestion. What do you think about Big Pines? It's in the mountains. Lovely lakes, mountains! George, I love it up through that hwy 395 area. Haven't camped at Big Pine but drive through the town often and the area is beautiful. Convict lake is spectacular. Just beware it gets very cold at night at 8000' elevation. You will have much less oxygen and poor night vision. You can drive through Panamint Valley and Death Valley on your way there from Apple Valley. Death Valley is 282' below sea level so lots of oxygen and a night sky like no other. Tioga George -- if you ever shop at Walmart and they make such a mistake of charging you higher than the sale price, they will give you the item free up to $12.00. I try not to shop at Walmart for many reasons but have had been charged regular price for on sale food items. Each time the product was given to me free. It's one their policies. Good info about The Wal*Mart! And good to know! Howdy George! !..Have you noticed how many comments you've received since making the choice for a Twailer?.. Keep on trucking our friend! !Beats sitting around wishing..You have been so good traveling and sound very happy doing so!! Going to be beautiful in Big Pine! Have a great trip George! You may want to check out www.ting.com for hotspot. They charge $6/month plus $10 per GB of data used.